Are you looking to add some charm to your home? Do you hate the carpeting that is looking dingier by the minute? Is it time for a change in your residence? What’s fantastic about working with 2 Day Flooring is that we can help you figure out all of this and we’ll even do it for you. Instead of worrying about what hardwood flooring option to go with or what you need to know about maintenance, the professionals at our Top Rated Local® Flooring Service will work with you to figure out what would be the most beneficial change for your home. Hardwood flooring is beautiful, but it can be difficult to maintain if you don’t take the proper precautions. If you want a look that’s timeless and gorgeous, then let’s learn more about what hardwood flooring can do for your abode. Hardwood flooring is a beautiful choice for homes that would like to add a more classic atmosphere with a touch of warmth. If you’d like to incorporate hardwood flooring into one room or multiple ones, then 2 Day Flooring is able to help you prepare accordingly. Hardwood flooring is a choice that will add a charming vibe to your domain. Not only can you find a wide selection of hardwood flooring options for your home that range from Brazilian cherry to comfortable mahogany, you can also make a statement with the wood that you choose. If you’d like to add a more dramatic element into your home, then go darker with rich styles and comforting tones. If you’re more inclined to add a more vibrant aspect to your home, then you have your choice of woods that are lighter and more tranquil. Whatever you decide for hardwood flooring, you can expect for it to add value to your property and increase the ambiance to make it more sophisticated and — dare we say — wonderful. 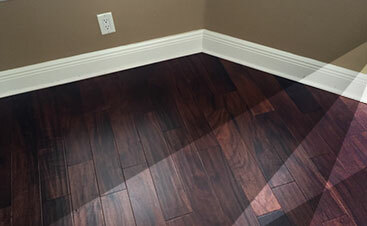 So what are the best rooms that hardwood flooring should be installed in? How can this flooring option really pull your home together to make it more enchanting? Hardwood is an ideal option for homes that do not have small children or animals because while it’s sturdy, hardwood flooring can be easily damaged by moisture. This means that the rooms that would be best with hardwood flooring are living rooms, bedrooms, libraries, offices, dens, dining rooms, and studies. While hardwood flooring is a beautiful choice that adds a more charming and eccentric factor to your home, it can’t hold up that great in areas that are heavy in traffic. That means you’ll probably want to try laminate or luxury vinyl for hallways, entryways, or mudrooms because a lot of people trek through there. 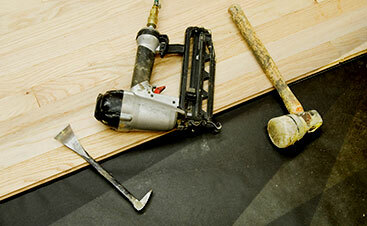 When you choose 2 Day Flooring, you can expect to work with a prompt, dedicated, and high-quality company. As a Top Rated Local® Flooring Service, we strive to ensure that each customer who comes to us is happy with the results. We’ll spend the ample amount of time working on your home without going over the quoted time. 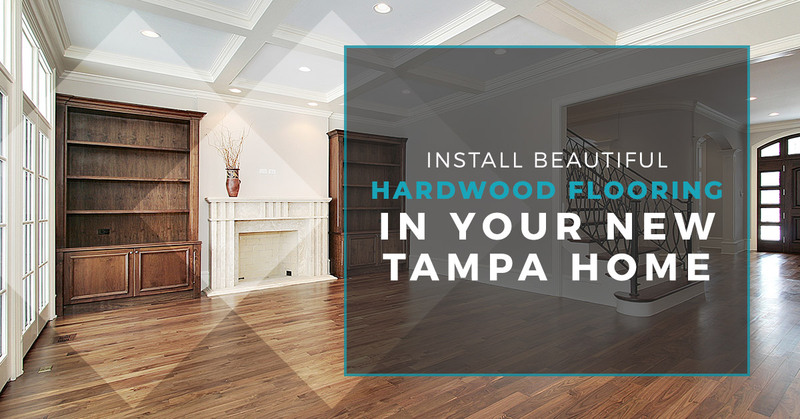 With several years of experience in flooring installation, we’ll make sure that your New Tampa home is timeless, just like you want. If you’d like hardwood flooring installed in your home, contact us today.